For a French girl from Paris like me, Bergen is pretty exotic and a complete change of scenery – I had long dreamt of coming here. 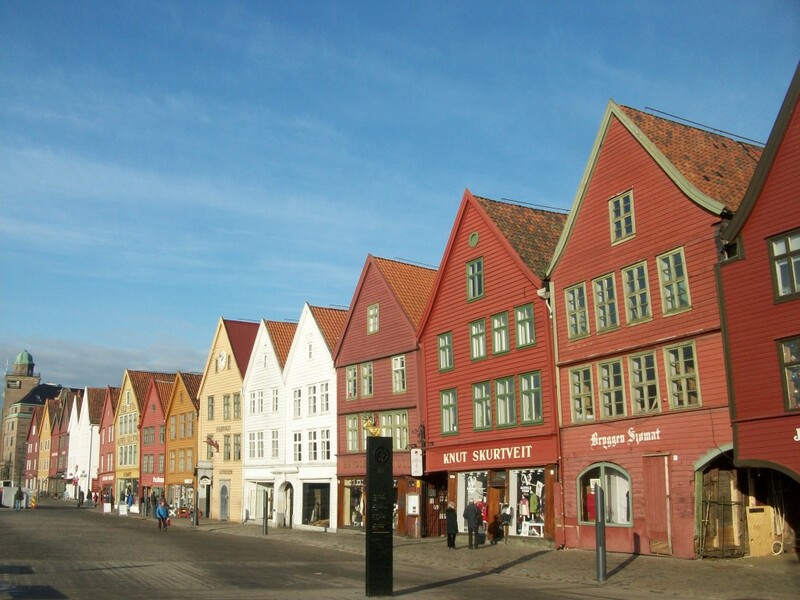 As an exchange student studying heritage, I’m spending a year in Bergen to write my master’s thesis on Bryggen. How fantastic it is to be able to walk through it every day, discovering each day a little more of Bryggen! Protected as a UNESCO World Heritage site since 1979, its buildings are not lacking in charm whether seen in the sun or through rain – as it rains quite a lot in Bergen. However, just walking through Bryggen every day is not quite enough to take us back to the Middle Ages, the golden age of this former tradingpost. A little background reading on Bryggen is useful or if you’re short of time or not too keen on reading, never mind, just go to the Bryggen UNESCO office for visitors,where, with any luck, you’ll meet a member of the Friends of Bryggen – they know Bryggen inside out and will tell you all about this extraordinary place’s history. Bryggen i Bergen. Foto Charlotte Morris, 2011. In any case don”t think of leaving Bryggen, if you have not been to at least two of its museums: first and foremost, visit the Hanseatic Museum,where you can enter the world of a contemporary tradesman, and see how they lived from inside a tradesman’s house at the time of the Hanseatic League. 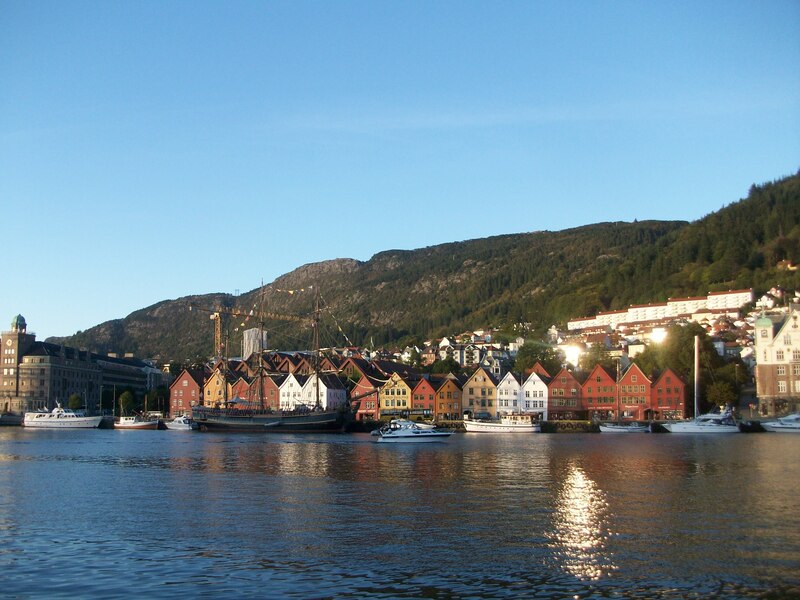 It’s an extraordinary place, where there is still a strong smell of stockfish, so important at the time for Bergen”s trade. Next, in my opinion, a visit to the Bryggens museum is a must: it is built right over excavations carried out between 1955 and 1979. Here you can see the very foundations of houses in Bryggen, there is also an excellent exhibition on St Sunniva, Bergen’s patron saint and an exhibition on Prosjekt Bryggen, commissioned by the Cultural Directorate of Norway. This type of project to save heritage really impressed me, since such heritage preservation concerns us all, be it Norwegians or more broadly-speaking all Europeans: the Hansa was already European trading community – a precursor to our modern European institution. Enriched with the knowledge acquired on a tour of these museums, take a walk back through Bryggen and let your imagination do the rest… Just wander around, thinking of what it looked and sounded like a couple of centuries ago! Enjoy your visit of Bryggen! Bryggen i Bergen. Foto Charlotte Morris, 2012.